As the world of traditional manufacturing fuses with information technology, organizations are tapping into a level of technical orchestration never attainable before. Symphonies of systems facilitate real - time interactions of people, machines, assets, systems, and things. This is the Smart Factory; the factory ecosystem of the future. 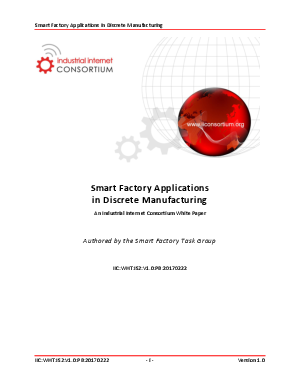 It is an application of the Industrial Internet of Things (IIoT) built with sets of hardware and software that collectively enable processes to govern themselves through machine learning and cognitive computing.